How often do you think about your building’s plumbing system? If it is working as expected, you probably haven’t thought about it. If more than one of your residents have complained about a clogged shower, overflowing toilet or slow moving sink, you might be wondering about the state of your multi-unit residential building’s plumbing system. What Are Your Residents Pouring Down Their Drains? In large residential buildings, like apartment complexes, condos and co-ops, residents and employees tend to think that the drainage systems are more robust, and they may send liquids, foods and other items down the drains that they wouldn’t put in the drain of a residential home. This, unfortunately, is faulty thinking and can lead to numerous clogged drains and wastewater backups. The number one thing you can do for the maintenance of your drain lines is to teach your residents what can and cannot be put down the drains. Cat Litter – Cat litter should never be flushed down a toilet. It contains sand and silica as well as other drain clogging components. Certain Paper Products – Feminine hygiene products, towelettes, face wipes, sanitizing wipes, paper towels and q-tips should never be put down the drains or flushed down a toilet. These items can become stuck in the pipes. Eggshells – Eggshells should always be thrown away in the trash and never put down the kitchen drain even if it contains a garbage disposal. Fruit and Vegetable Rinds – Fruit and vegetable rinds can be very fibrous. The strings and rough edges can catch inside the drain line instead of flowing into the municipal waste system, resulting in nasty clogs. Grease, Fats and Oil – Grease, fats and oil all cool as they move through the drain system, and they eventually stick to the sides of the drain pipes, and once stuck, it can catch other objects flowing down the drain lines. Meat Trimmings – Even if the kitchen sink is equipped with a garbage disposal, meat trimmings should never be put down the drain. 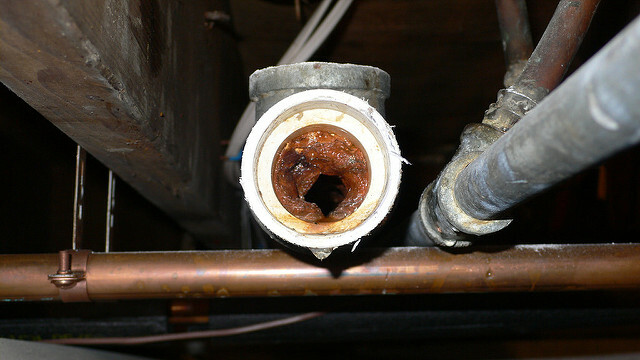 The effect on the plumbing pipes is very similar to when grease is poured down the drain. Strings and Hair – Residents should do their best to avoid letting hair and strings flow down their drains. Thread, yarn, floss and other strings should not be put down the drains, and hair traps should be used in showers and bathtubs. No matter how diligent the occupants of your building are when it comes to knowing how to prevent clogged drains and implementing that knowledge, you may still experience clogged drains. This is because some drain clogging items cannot be prevented, including hair, soap, grease, lard and oil, paper towels, Kleenex, meat scraps and certain types of fruit rinds. You could also experience clogs and slow drains if your plumbing system is old. 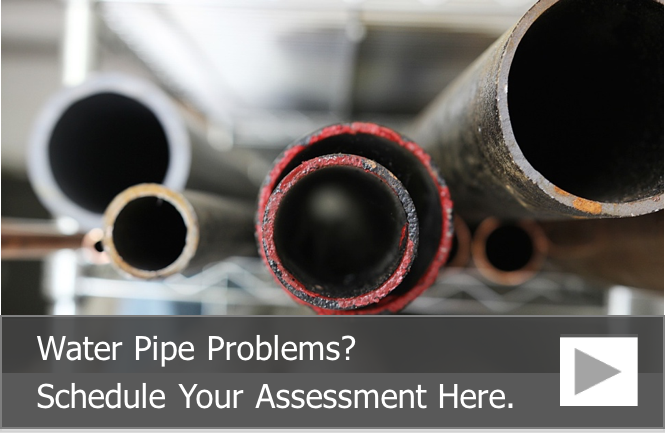 Over time, even drain lines can clog and corrode, which reduces the internal diameter of the pipe. Here at Nu Flow, serving Chicago, we can help you keep your drains clog-free with epoxy pipe lining that includes inspecting and hydrojetting your drain lines. In fact, we recently performed an epoxy pipe lining of severely corroded drain pipes at the White Sox home field. The drains had been severely corroded due to soda, beer and grease. After a pipe inspection, our team of pipe lining experts were able to come up with a solution to clean the pipes and line them. Like Guaranteed Rate Field, your multi-story residential drain lines can be restored with an epoxy pipe liner, and once the liner has cured, the only maintenance you will need is the occasional hydrojet clean out to help keep your drains flowing and prevent clogs. To learn more about epoxy pipe lining for drain lines, call us at 815-790-9000.